Thinking about stealth, a common image the mind conjures is that of a lone wolf slinking through the shadows and taking out threats one by one. Solid Snake and Sam Fisher generally work alone. Players control one man using skill and cunning to take on an army. 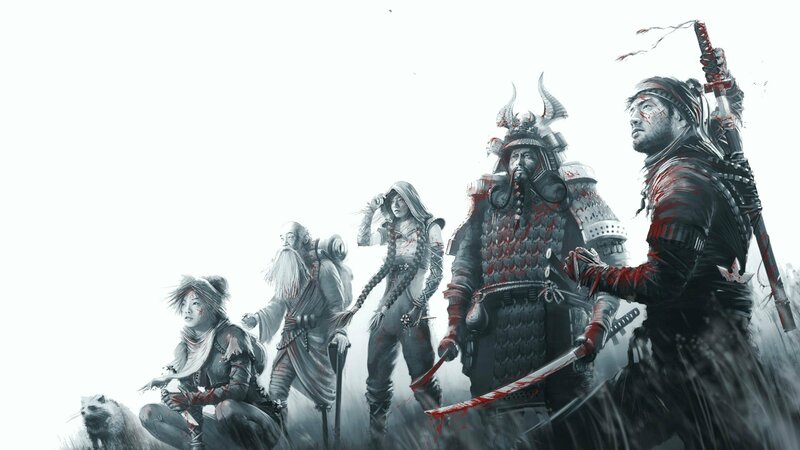 Shadow Tactics: Blades of the Shogun zooms out a bit. It follows a group of five warriors, each with his or her own strengths and weaknesses. 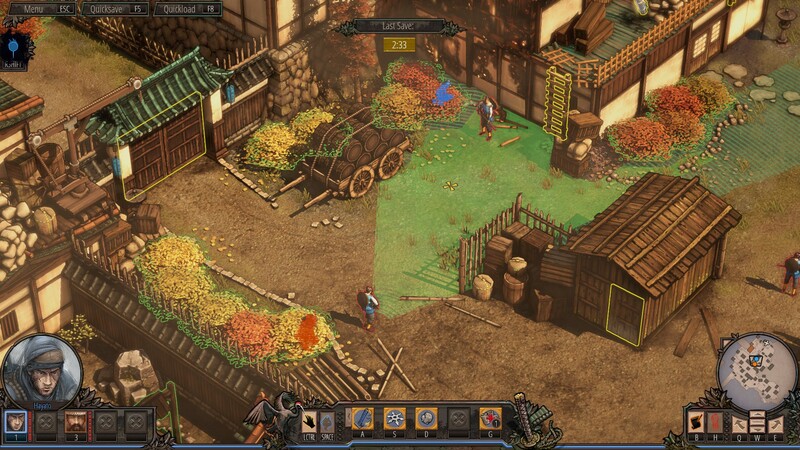 Instead of stealth by way of action or a shooter, Shadow Tactics approaches it through a more real-time strategy lens. More accurately, it's real-time tactics. I mean, it's right there in the title. Oh, and it's excellent. There's that too. Blades of the Shogun's opening mission introduces three of the five main characters, each with his own archetype. Hayato is a shinobi; he plays like a typical stealth game hero. He can hookshot onto buildings, distract guards with thrown rocks, and assassinate targets from behind. Mugen is a samurai; with his armor he can take more damage and execute an area-of-effect attack to neutralize multiple enemies at once. Takuma is a sniper, slower than most and unable to quietly assassinate in close range, but deadly when perched in a far off tower. The two additional characters are more like Hayato in terms of movement and combat capability, but they distinguish themselves by their special abilities. Yuki can lure enemies to her location with a whistle and can set up a trap to take them out when they step on it. Aiko can manipulate vision cones and change outfits to walk among foes undetected. It's the combination of abilities (and often the consideration of drawbacks) that makes Shadow Tactics interesting. There are often multiple solutions to a given problem, and by constantly mixing up which combination of the five team members are available from mission to mission, ideas that have worked in the past may not be as viable in the future. For instance, a patrol of three guards moving closely together obviously calls for Mugen's area attack or Takuma's bomb. In a mission with only Hayato, Yuki, and Aiko, the three have to work together in order to take out the targets undetected. 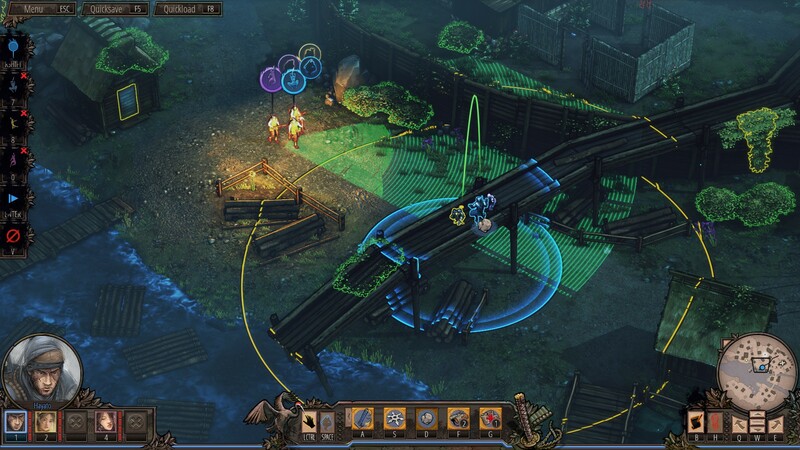 Toward that end, Shadow Tactics has a feature called Shadow Mode, which allows players to queue up one action for each character, then either execute them individually or simultaneously with a single keystroke. One of the coolest feelings was marking each of the three patrolling guards with a different character and pounce-assassinating them all at once from a bridge overhead. Shadow Mode can be crucial for team actions that need to be precisely timed. I can recall another instance in which I had Mugen drop his bottle of sake to act as a lure, had Hayato throw a shuriken when the enemy was in an exact spot, then sent Yuki in to drag the body away to remain out of sight, all within a few seconds. If anything, I wish it were possible to have more than one action per character in the queue. Another aspect that keeps Shadow Tactics interesting is the steady introduction of new mechanics to tackle. Once the basics of stealth and each character's abilities are out of the way, the maps themselves add new wrinkles. Snow on the ground causes characters to leave footprints, which are often a hazard to avoid but can also be a boon when used cleverly in order to lure guards from their posts. In night levels, the entire line of sight system is reworked to take into account distance from a light source. One mission brings the group to a rice paddy where cover is plentiful but sloshing through the water makes a lot of noise. Blades of the Shogun doesn't dwell too long on any one idea before trying something new. Further, each mission has a set of optional objectives, usually focused on completing the given task with style. It not only encourages replaying levels, but also pushes players toward trying out new ideas or taking different paths. You had Takuma snipe this high-level target from afar? Cool, next time try poisoning his tea with Yuki. 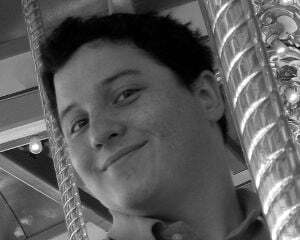 Did that? See if you can infiltrate his heavily guarded compound and kill him with just your bare hands. For somebody who is generally more inclined to turn-based strategy, Shadow Tactics can be difficult, but it's still doable. (Were it not for the generous quick save system, I'd almost certainly be sunk.) Aside from the sections where simultaneous actions via Shadow Mode is a must, it's generally possible to compartmentalize and control each character one at a time. However, that's pretty slow; I've taken three hours to finish a single mission. It's only a little discouraging to see from the optional objectives afterward that it could be speedrun in 21 minutes. Aesthetically, Blades of the Shogun works well, even if it's nothing to write home about. It has a sharp cel-shaded look that makes clear which parts of the environment can be interacted with and where enemies are posted. As a minor gripe, some of the voice acting is puzzling. While most of the main cast do a decent job with Japanese accents, a few supporting characters sound almost British. It's as if they were told to sound foreign and 16th Century English aristocracy was what came out. 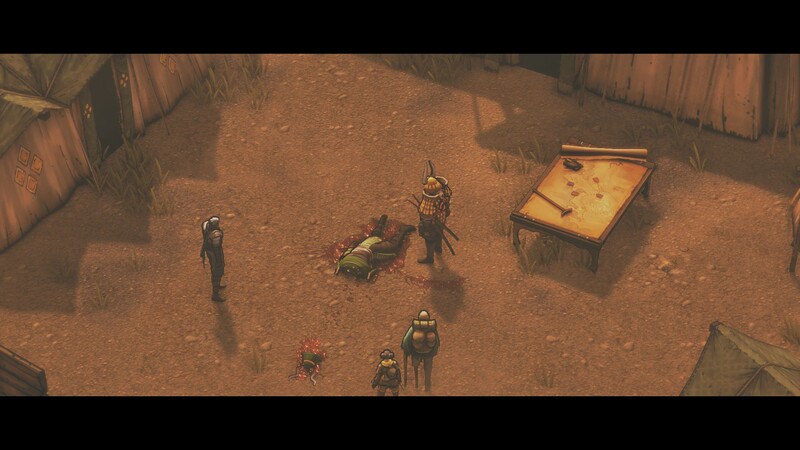 The minor issues don't really detract from the enjoyment in Shadow Tactics: Blades of the Shogun. The base gameplay is a solid stealth foundation, the different characters allow for lateral thinking to solve challenges, the changing mechanics from the environments require readjustments in strategy, and the overall difficulty keeps it from ever becoming a trivial puzzle game. I've spent a few work nights staying up way too late playing, just to see what it would throw at me next. With the replayability built into each mission, I can imagine a few more of those nights on the horizon.